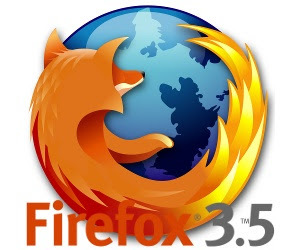 Firefox 3.5 the world's second-most popular browser up to speed with current browsing technology and trends, and perhaps nudges it just a bit ahead of the competition. Firefox is currently Available for Windows, Windows Portable, Mac, or Linux, Firefox 3.5 nevertheless represents the best Firefox we've yet seen from Mozilla. This comes as no surprise, and with a testing process that involved four beta builds, three release candidates, and a version change to reflect what Mozilla described as the originally-unintended breadth of the improvements being made, most of the new features are no surprise, either. Private Browsing, known to IE users as InPrivate, Chrome users as Incognito, and Safari users as, well, Private Browsing, finally comes to a public version of Firefox. The Clear Private Data window has been replaced by a Clear Recent History option, using the same hot key combo and in the same place in the Tools menu. Under the Clear Recent History window, you can delete your entire recent browsing history over the past hour, two hours, four hours, today, or all content in your history. For now, Firefox will continue to rely on its vast base of developers and users who value their customizations over superlative claims, so long as Mozilla keeps its browser close enough to its competitors.